These days WordPress has gone far beyond the perception that it’s just a blogging tool. Helped along by the fact it now powers 30% of websites, WordPress has become a default digital publishing tool for major media companies, including Facebook, CNN, USA Today, Time Inc, eBay, Sony, Spotify and Microsoft. As employees at these companies and other enterprises using WordPress become more accustomed to its ease of use and want to adopt the CMS more widely in their organizations, the next battle begins — using WordPress as an enterprise content management (ECM) solution. ECM is a space already dominated by big players such as Atlassian’s Confluence, Xerox’s DocuShare and Seismic. While WordPress provides the capabilities needed to function as an ECM system, if it is to be taken seriously as a player in this industry there are challenges around perceptions that it needs to overcome, particularly when it comes to security and support. So is WordPress suitable for enterprise content management? Let’s take a closer look. WordPress for Enterprise Content Management? We’ve established that enterprise companies are already using WordPress for digital publishing. But using WordPress for enterprise content management? At its core, WordPress is a content management system. It’s widely used by all-sized businesses to manage their websites and content. So using it as an ECM system is by no means beyond the realm of possibility. It would, however, mark an evolutionary leap for the software. But the shift towards great enterprise-level use is already happening. In order to understand how WordPress has arrived at this point in its development and why it’s become a suitable ECM system, it’s important to trace its history — and the huge international community of volunteers, contributors and companies invested in its success. Now nearly 15-years-old, WordPress started out as a simple but powerful blogging tool. Since its launch thousands of people have contributed to its code base, developed websites using it, created businesses and agencies around it (hey, Pagely! ), and attended conferences to learn more about how to work and profit off it. 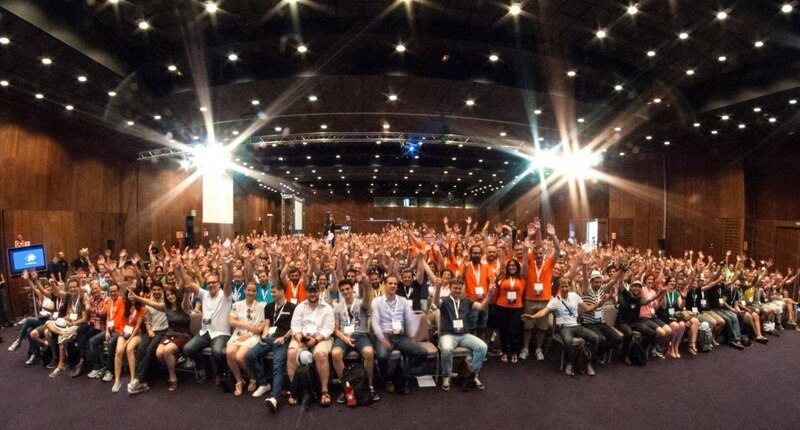 Just last year, more than 2500 people took part in WordCamp US in Nashville. The event was one of 127 WordCamps held around the world in 2017. Collectively, these events attracted tens of thousands of attendees. In addition, it’s worth highlighting the dominance of WooCommerce, now the most popular eCommerce platform for online stores. With 36+ million downloads, WooCommerce powers over 29% of all online stores. This year has also seen greater development and adoption of the WordPress REST API, a project that has enabled WordPress to be used as an application framework. Essentially, developers can use the API to decouple the front-end from the core software to create mobile and desktop apps and highly customized websites that look nothing like WordPress. It’s this highly advanced ability to customize WordPress for any use, coupled with its user-friendly and familiar admin interface and wide-spread use that make it an ideal ECM platform. Essentially, an ECM system helps companies organize, manage and distribute unstructured content such as documents, images, health or account records, surveys, product information, emails and websites. Companies use this software to store, track, edit and collaborate on content creation and other information-related projects, while maintaining predefined user roles and security levels. WordPress easily ticks all the boxes as far as content management goes. But let’s explore the pros and cons in more detail. WordPress has evolved to become a serious contender as an enterprise-level CMS, yet misconceptions around its capabilities could continue to hold it back. Many misconceptions are based on older versions of the software, assumptions, and a general lack of understanding around how it has developed and what it is capable of doing these days. It’s tough to extricate the pros and cons of using WordPress for ECM because what might be seen as an advantage to some might be viewed as a disadvantage to others. So, I’ll outline the features and capabilities of the software that make it suitable for enterprise while also exploring the benefits and challenges in more depth. WordPress is licensed under the GPL. This means that anyone can modify and enhance the core code and any contributions are comprehensively peer-reviewed by a dedicated community of developers. You would think the fact that WordPress is free and doesn’t require license fees would make it an attractive option for organizations, but not so, according to David Lockie, Founder and Director of enterprise-ready WordPress agency Pragmatic. “Procurement departments see the lack of a license as a lack of accountability about the ability of the software to deliver the required results,” Lockie says. He says it’s not true that paying for software is a guarantee that it will work for a business — any software investment should be done with expert advice based on detailed requirement and expectation discovery. “We’ve come in contact with a number of large organisations that are locked into software products that are hurting their business because they can’t afford to migrate away, or because there’s been so much investment in these proprietary, licensed products that no one can stomach standing up and admitting it was a mistake,” he says. For companies that don’t want to be locked into using software provided and serviced by one vendor, and can embrace the foundation of transparency and community that WordPress has been built on, the lack of license fees can only be viewed as a win. Due to the open source nature of WordPress, there’s no single support staff behind the platform. This means that if you need professional support, upgrades or customizations, you can seek help in the Support Forum, but also elsewhere. While this might be seen as a big drawback for many enterprise companies, Crowd Favorite says its a “strength and differentiator,” especially in the past few years as the industry has matured. Since these companies are competing, there’s no monopoly. Customers have choices and can seek out development agencies that fit your needs rather than be pigeonholed into using just one vendor. While enterprises might choose to work exclusively with an agency, many prefer to have in-house developers and also work with enterprise web development agencies. 10up, for example, works with companies like FiveThirtyEight, Windows, and TechCrunch to build technically complex WordPress instances at scale. The decision early in WordPress’ development to make the software extensible using plugins is very much at the heart of its success. It has enabled the core development team to keep the platform relatively streamlined while plugin developers and agencies have emerged to meet the needs of users who want to extend the software. This unlimited — yes, it really is unlimited — extensibility and flexibility offers enterprises the kind of complete control you wouldn’t normally get with other ECM solutions. You choose how you want to build out your ECM install. If there’s a feature you need, developers and agencies can create a custom plugin that adds the feature to WordPress for you. Take WordPress development agency Moove, for example. Custom code and integrations with third-party apps are a common feature of the agencies projects. For one of its clients, the UK India Business Council (UKIBC), Moove integrated Salesforce with the council’s website. The agency built a custom plugin to record the behavior of all registered users so the council could run advanced analytics on user behavior trends. Every user recorded transaction is stored in Salesforce against a “contact” to give the UKIBC sales team valuable data that helps it convert users into customers. The GPL and copyright are frequent concerns for enterprises, according to Pragmatic’s David Lockie. He says the situation is pretty clear — as long as enterprise companies go into open source projects “with eyes open about licensing,” they’ll usually find that the licensing favors innovation and creating value. Pragmatic teamed up with a lawyer for this blog post that introduces the key concepts of the GPL, copyright and open source. To say that WordPress is insecure is just not true. The WordPress Security Team now comprises 50 experts including lead developers and security researchers — about half are employees of Automattic, the company behind WordPress.com, and others on the team work in the web security field. The team consults regularly with well-known and trusted security researchers and WordPress hosting companies. In addition, the team often collaborates with other security teams to address issues in common dependencies, such as when it worked to resolve the vulnerability in the PHP XML parser, used by the XML-RPC API that ships with WordPress, for WordPress 3.9.2. This fix was the result of a joint effort by the WordPress and Drupal security teams. In recent years, WordPress has introduced automated background updates for all minor releases of the software. This means the security team can identify, fix and push out automated security enhancements for WordPress without site owners needing to do anything on their end, and the security update can install automatically. The reality is, the core software just keeps getting safer. It’s worth highlighting that even security-conscious organizations, including governments, use WordPress — WhiteHouse.gov was recently relaunched using WordPress, and Andrew Nacin, a lead developer for the WordPress project, works for the U.S. Digital Service. With a solid hosting stack, sound database configuration and a mindful use of plugins and customizations, there’s no limit to how you can use WordPress. 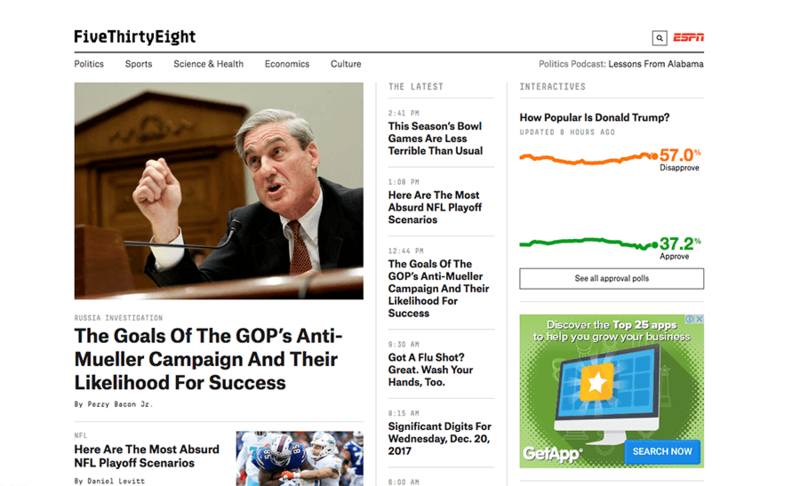 FiveThirtyEight – During the 2016 U.S. election, site visitors obsessively refreshed the statistical analysis site for the latest election predictions. Independent monitoring by Pingdom showed 100% uptime for the week of the election and barely a blip in terms of average response time. The New York Post – The Post uses WordPress as a complete solution — editorial interface, workflow, and section management experience, content storage, API, and front-end rendering. Other News Corp brands integrate select components of WordPress into their IT infrastructure. USA Today Sports – The network of high-profile sports sites unified their code base and platform to move scale, security, and performance concerns out of the way so they could grow. On U.S. election day in 2016, FiveThirtyDay experienced traffic in one day that most sites would get in a week. The site is built on WordPress. How Does WordPress Compare to Popular ECM Systems? Compared to the most popular ECM platforms available on the market, WordPress doesn’t have the same core features they offer built in. But it does offer something even better: flexibility. With WordPress, companies can pick and choose the exact features they want and if a feature isn’t ready available it can be created. The ECM market is a competitive one and there are many solutions available, but for this section I want to look at 3 factors that companies generally look for in an ECM system: features, pricing and support. For this, I’ll compare WordPress generally with 3 popular options — Confluence, DocuShare and Seismic. The most important features of any ECM system revolve around creating and modifying content, media management, collaboration and storage. Since enterprises have many employees with different roles and security requirements working on the same platform, ECM systems also usually offer user roles and management for certain types of users. How WordPress Compares: Creating and storing content is a key feature of WordPress, as is basic user management and media support. These features can be further enhanced with plugins and custom development. For example, there are many free plugins to help WordPress admins better manage users and media, while highly customized apps can be built for advanced content creation and storage. With WordPress, you can build the exact ECM platform you need, you just need to know what you want. Pricing for DocuShare and Seismic isn’t publicly available so it’s hard to determine exactly how much an organization would pay for these services. However, some online sources say it can cost up to and over $50,000, with prices usually based on licensing or per user. Confluence does publish its pricing — for a company of 2000 people it would cost $27,000 a year. How WordPress Compares: This is where it gets tricky. While the core WordPress software is free, setting it up and any customizations you need will likely require a developer or an agency. Plus, any plugins you need, as well as enterprise hosting, will require ongoing payments. Confluence, DocuShare and Seismic all offer top-notch support that is included with the license or as part of a contract. The websites for each of these ECM systems also provides comprehensive documentation and online resources. How WordPress Compares: As I mentioned above, there are many options when it comes to support for WordPress. There are agencies all over the world that specialize in WordPress that enterprises can hire for ongoing maintenance, updates and professional support. Is WordPress a Viable ECM Solution? WordPress is at a turning point in its evolution as a content management platform where enterprise-level companies are seeking it out for use as a custom web solution and using it in new and creative ways. It’s the hugely flexible and extensible nature of WordPress that makes it an ideal and highly suitable ECM solution. It can be completely customized and tailored to suit the needs of any organization, whether you need a simple content management system for storing simple documents or a highly advanced platform that users access via a custom desktop app. It also must be said that when it comes to WordPress, you only pay for what you need, nothing more and nothing less. Misconceptions around the power, capability, security and scalability of WordPress are being dispelled as big organizations like Facebook and Microsoft use the platform to power their digital services and sites like FiveThirtyEight continue to show just how reliable and scalable WordPress can be.